First of all I want to say thank you for being a part of the Twin Flames 11:11 community! I appreciate so much hearing from you, and if you’ve written to me I want you to know I do read all the messages I get but unfortunately due to such a high volume of contact I’m unable to answer everyone personally. However, I do my very best to answer you through the blog and with the programs and sessions I share here (including a brand new one out this week for dealing with an Unawakened Twin). I’ve heard the stories of tens of thousands of Twins and learned so much about this connection along the way. Today, I wanted to take the opportunity to share with you some of the unfortunate self-sabotage that goes on behind the scenes of a surprising amount of Twin Flames’ journeys. This is stuff even the self proclaimed “awakened/spiritually aware Twin Flame” often engages with, and it can do a lot of damage. It you’re struggling right now, I want you to know things really can get better. Download my Free Transformation Pack for Twin Flames here and get started on shifting out of struggle and into harmony. Every single week I get emails from Twins who’ve had amazing experiences with these free tools, including people whose Runner Twin got back in touch out of the blue after they used the Free Cleanse Tool! Have a look at some of their testimonials here. Above all, please know this: Twin Flames are not divinely decreed to have to suffer! Any problems between you and your Twin are rooted in an energetic imbalance and negativity expressing itself. Watch a short video on this below, and discover how to step out of “the Twin Flame Nightmare” of Running/Chasing and Separation for good. This is a journey of learning, everything you experience is mirroring to you what is going on inside you, whatever issues and blocks and trauma and wounds you may be carrying. Keep this in mind: maybe you’re the one who’s been placing the most limits on yourself, building your own blocks to hold you back. The message from spirit is that when we have pre-built in judgments, opinions and beliefs around Love, the Twin Connection and Romance – we can unwittingly block good from reaching us. Judgment always locks our energy. A common example: When someone keeps describing their Twin as “a Runner” they’re pummeling them with energy to this effect, pushing them into a corner where it’s hard for them to be anything except “a Runner”. 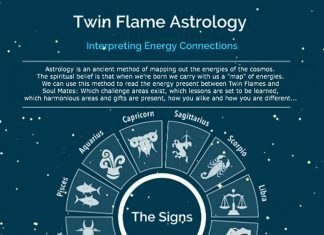 Twin Flames are always strongly impacting each other with their energetic intent – but so many Twins don’t realize this. In most Twin communities you’ll find people who are unaware of the incredible negative impact they’re pushing onto their counterpart every day. As long as we have judgments, preconceptions and hard beliefs in place, we’re deflecting good and solutions left, right and center. We’re putting artificial boundaries on love. If you feel like you’re suddenly seeing all flaws and no good, remember that this is the past coming up for resolution so you can let go of “learned” judgments from society. This especially tends to go for female Twins and those with an emphasis on the feminine energy polarity – Because they are taught “beware of men”, “beware – they might exploit you or betray you”. We are way more powerful than we tend to give ourselves credit for. When we embrace our power, shift out of limitation and clear societal and ancestral programming, we can really “save ourselves”. When we believe we’re all alone or that it’s not up to us – we’re shut our energy field down to receiving help. Unfortunately waiting often becomes a self-fulfilling prophecy. Some Twins wait decades with very little changing… I’ve had clients who had waited on their Twin to stop running for 20 years to no avail. It wasn’t that the Universe was punishing them or that they weren’t deserving enough of love – their energies simply weren’t aligned with it. It wasn’t a match. If you’ve been waiting for a long time, try something different. When you shift into a new action, you’ll always get new results. If you can open up to the idea of a loving Universe that is showing up your blocks so you can move into more love and happiness… Or even better, that *you yourself* decide and that you have the power to make your Union in love happen no matter what – this will help you manifest more support, more help, more joy, more love. Many Twins feel that the Universe or other people or outside forces are keeping them apart, or that it’s up to the “higher realms” to decide whether they come together or not. This is untrue. We are always being assisted, but no one will fix things *for* us. If we ourselves don’t take action we end up trying to manifest from a place of fear and limitation – and in this frequency range, love is out of reach. To be able to physically live and receive your desired Reunion, you must be aligned with it. You cannot manifest love from a place of fear. They are polar opposites. To read more about how this works, have a look at this article. The “not enough syndrome” is a typical theme not only for Twin Flames but in our whole modern society. Many Twins are habitually dwelling in self criticism and negative self talk, then get frustrated that their counterpart isn’t loving them. The deeper truth is that Twin Flame Mirror can only reflect to you what you hold inside. As within, so without. So as long as your Mirror is reflecting back negatively – you have to go inside and figure out what’s causing it. It’s time to let go of any old, negative self talk. For Twin Flames this is essential. Energy clearing helps you remove the frequency charge of childhood negativity of feeling “not good enough” – this is where 90% of our lack of self love comes from. Any time you look in the mirror or think of yourself, focus on your inner radiance as a soul. Tear down your illusions of smallness, and your subconscious mind will begin to allow you to move past your comfort zone. When you re-calibrate your frequency and energy field through metaphysical clearing, like I teach you in the Vibrational Alignment Program, every fiber of your being will begin to expansion and newness, not just the same limiting circumstances over and over. that be within your Twin or yourself], make sure you redirect your attention to something you’re happy with until your mood shifts. Sticking with this for 30 days will help you shift out of negative self perceptions, which of course only become an ever-evolving negative spiral if left unchecked. connection, then you know you have some work to do. Because a negative focus can never bring positive results. Ask your soul to help light up positive memories for you and make sure you focus on them. If you need some inspiration for this, have a look here. As long as we speak, think and write about our connection and our Twin Flame from the negative polarity, that’s what we reinforce. 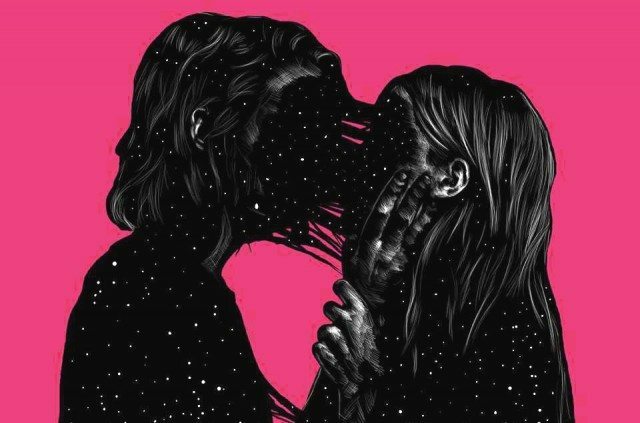 your Twin Flame and your connection. To reconnect with your soul’s inner knowing and learn more about tuning into your intuition and manage your energy vibration to attract more harmony in your connection. Take some time to make sure your genetic lineage, beliefs and past experiences aren’t blocking your efforts. Be careful to not automatically buy into “realistic” thinking and try to figure out your Twin Flame journey with your mind only or based on other people’s negative experiences. Not everything you read about Twin Flames is true. Listen to your intuition. confronted with the potential tension between our highest wishes and dreams, versus our thinking mind, rationality and logic. Keep this in mind if thoughts pop up that make you doubt ever coming together, or thoughts that you might be making it up, or exaggerating, or crazy. To flop over and wait for the universe to tell you what you’re meant to be doing or for some higher power to determine when you’re worthy, will not serve you. The answer lies inside of *you*. If you’re ready to begin taking action on co-creating your joyous Twin Flame Union, go here for my personal step by step method. After being hurt, our natural reaction is to build ever higher walls around ourselves but these don’t just block out Hurt, they block out Love too. Healing the heart is essential on the Twin Flame journey – so we can open up to love. If we’re not open we can’t receive the very things we desire, including happy Union with our Twin. Many of us ask and pray for things, unaware that our energy field is blocking those very things from arriving. Tearing the walls and healing these wounds will help us move on with increased freedom. As long as we carry the energetic memory of being hurt, we’ll find it challenging to open up again. Unconditional Love is after all about complete openness, complete vulnerability yet complete invincibility. If you find it tricky to be optimistic and to have faith that good things are coming, it means you have patterns of distrust, disbelief, karmic experiences and feelings of being let down, particularly by the Universe/Source/God or your love partner. Happily, this can be cleared. Spirit asked me specifically to transmit a session for clearing, healing and upgrading the Heart Chakra for Twins – to re-open the cord of unconditional love and remove the fears that so often create problems for Twin pairs, on both sides. Go here to discover what secret fears and old hurts are still hiding in your heart, and your Twin Flame’s. We blast through blocks and infuse your connection with the energy of pure divine love to re-open the Twin Flame heart bond. You’re always being called upon to remember who you are, to step up, to speak out to recognize your true value. Keep this in mind: maybe you’re the one who’s been placing the most limits on yourself, building your own blocks to hold you back. The Twin Flame journey is full of limiting beliefs – all you need is a few minutes on Google and you can read all about the downsides and the horrors of being a Twin Flame. Don’t be so keen to give your power to “Twin Flame experts” and people who are desperate to teach others. Often, the ones who are most eager to talk and give advice, are those least suited and capable of doing so. There is no substitute to stepping into your *own* power as an infinite being. Nothing can help you more than learning to listen to your *own* higher guidance. In order to do this, it’s imperative to remove the old negativity you’ve taken on during childhood and from other people’s “Twin Flame info”. Someone else’s story isn’t your story. Not all Twin Flames’ experiences are the same. Learn what works for you – empower yourself. To do this, go within, begin to listen to your own inner wisdom. I share with you a Free Guided Meditation and other tools here, so you can get started right away. But this was something so out of the ordinary it nearly blew my socks off…! One afternoon as soon as I closed my eyes to meditate, I was immediately told that an important transmission was starting. And then a message began to come forth crystal clear, word by word for well over 45 minutes – A brand new Dimensional Anchoring and Awakening Session for the Twin Flame Collective. Spirit rarely pushes me this hard and it’s been nearly a year since the last session we created together, so I knew the message was important. 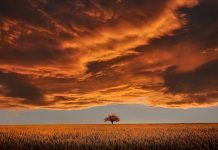 Because the most amazing thing about this channeled session was that spirit showed an ingenious process for rousing an Unawakened Twin Flame into awareness – in complete alignment with their Free Will. Discover how here.